Companies spend a great deal of time perfecting their employee & customer communication. 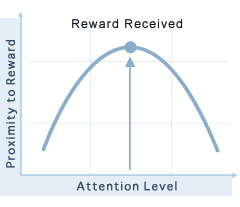 Yet for most reward & loyalty programs the communication seems to stop once the recipient has received their incentive. We believe that there is an opportunity to continue a dialog with the recipients long after the reward has been received. We call this post-fulfillment awareness.At the point when a person has received their award and shortly thereafter, you have their highest level of attention and therefore communicating to them is easier. Although this is the prime time to engage with these individuals most programs do not as they see that their obligation has been completed. OmniCard has fulfillment, technical, and support solutions to help continue the conversation with your consumers or associates. Fully customized greeting cards with your brand. Buck slips & marketing collateral. Interact with the reward recipient each time they inquire about their card. Custom solutions to help you manage & grow your program.